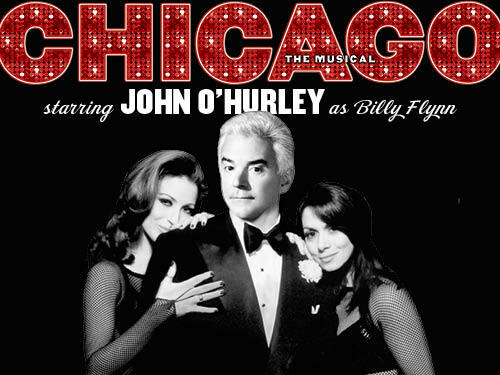 Actor John O’Hurley had good things to say about Greater Des Moines during his appearance in the Court Avenue Entertainment District, following this week’s opening of “Chicago” at the Civic Center of Greater Des Moines. Best known for his role as J. Peterman (Elaine’s boss) in the hit television show “Seinfeld,” O’Hurley plays Billy Flynn in the award-winning Broadway musical. Hanging with his fellow performers and local patrons on the recently opened patio of Mickey’s Irish Pub at the corner of Third Street and Court Avenue downtown, O’Hurley told me that Des Moines is far ahead of similarly sized metropolitan areas in terms of commercial development and cultural significance. Doting on our skywalks and other amenities, he said cities such as Grand Rapids, Mich., lag our evolving community by three or four years. Referring to the appeal of Mickey’s patio, O’Hurley suggested the establishment project silent movies – perhaps old black-and-white Charlie Chaplin flicks – on the brick façade of the neighboring Saddlery Building, which houses Court Avenue Brewing Co. next door. Providing patrons with a visual stimulus as they mingle in the outdoor space would give them something to latch on to while soaking in Iowa summer nights, he said. The cast and company of “Chicago” captured my attention. In the four years I’ve been attending and reviewing theatrical performances at the Civic Center, I’ve never met such an energetic and engaging troupe of visiting performance artists and musicians. The show’s drummer told me he felt extremely safe on the streets of Des Moines and a number of other “Chicago” cast members shared his view that the city is certainly on its way to the big time. Leading ladies Terra C. McLeod (Velma), Roz Ryan (Matron “Mama” Morton) and Tracy Shayne (Roxie) bedazzled the audience during Thursday’s performance, yet the show didn’t stop when the curtain closed. With a wondrous mix of murder, mayhem and comedy, “Chicago” (on Twitter) was electric. During the cast party at Dos Rios Cantina and Tequila Lounge, and a late-night tour of Court Avenue, I realized that this all-star crew of New Yorkers was as cool and collected off-stage as they were under the spotlight. And knowing that they think Des Moines is an up-and-coming cultural hub, I was filled with a sense of civic pride surly won’t be forgotten anytime soon. Continuing on a three-week tour, the musical plays through June 5 at the Civic Center. So what’s the next stop for this traveling band of premier personalities? Planting is well underway at Lone Tree Garden, where refugee families from Burma, Burundi and Bhutan are returning to their agrarian roots and making connections with local volunteers. Nine families have signed on to farm the soil donated by organizer Ryan Galloway as Lutheran Services in Iowa volunteer Jane Scanlon works to build bridges between community supporters and those who have been forced to flee war-torn homelands. On May 7, we kicked off the spring planting season with a workday and barbeque at Lone Tree Garden and are now ready to water, weed and watch our produce grow near Martin Luther King Jr. Parkway. A special thank you to Jason Urban of Adel-based Raccoon River Rental for his kind donation of the tilling machine that helped us break up hollowed ground. We also appreciate the time grass-roots gardener Dan Goldman spent teaching us on May 14 the best way to approach our seven-plot parcel. We look forward to a productive summer of relationship building among all our gardeners. Please pray our labor leads to a plentiful harvest. Six journalism seniors at Simpson College will try out in front of three professionals this afternoon in hopes of becoming the school’s first Iron Journalist. Starting at 3:30 p.m., student bloggers Peter Kaspari, Sarah Keller, Kelsey Knutson, Angela Niesz, Austin Walton, and Drew Yarkosky are slated to present their senior multimedia journalism projects in an open forum in McNeill Hall. Simpson professor Brian Steffen has asked a writer, a reporter and an editor to critique students’ work following 10 minute presentations. As I preview their content before joining two of my peers in providing constructive criticism to these brave souls, whom I’m sure appreciate the steps Steffen is taking to prepare them for the real world, I realize what I tough assignment I have today. Based on what I’ve seen, these students poured their hearts and souls into personalized blog posts and video productions that reflect their lives at Simpson as student reporters. I know how much time and dedication it requires to produce websites such as theirs, especially when working to balance jobs, social lives and academic excellence. Kudos to Simpson for encouraging students to bridge the gaps that exist between academic journalism and the way real-world news outlets operate. The event is expected to attract an audience of about 10 to 20 members of the Simpson campus community. 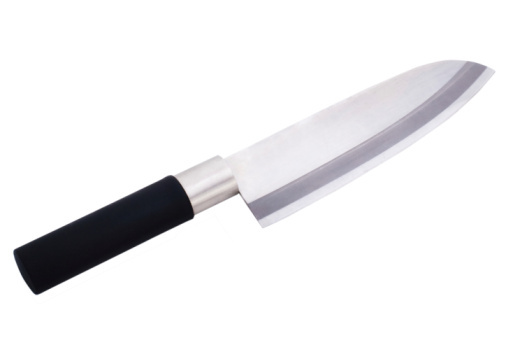 Good luck to all and Allez Cuisine! In the mid-2000s, before specialty coffee shops began sprouting like dandelions and cellphones were just cellphones, I spent fair amount of quality time at Borders Books in West Des Moines. Reading books and magazines, studying the Word of God, and striking up conversations were some of my favorite pastimes at the suburban shop, and I’ve had a number of significant intellectual and spiritual experiences there. Well Mitch, my dream was to someday meet the woman of my dreams in the biblical theology or exotic travel section at Borders Books. Sorry, but that big dream died with wireless routers and free Internet connections. Maintaining a personal library of books and movies, as well as a reasonably sized archive of hard-copied newspapers, magazines and other periodicals, is another hobby of mine. But now, with a plethora of digital tools at my fingertips and a coffee shop on every corner, I have less need to acquire new printed materials because much of the content and information that I’m seeking can be accessed via the Web. So it makes sense to hang out in my neighborhood. It makes sense to support local businesses. It makes sense to form connections and fellowship with neighbors and friends nearby. 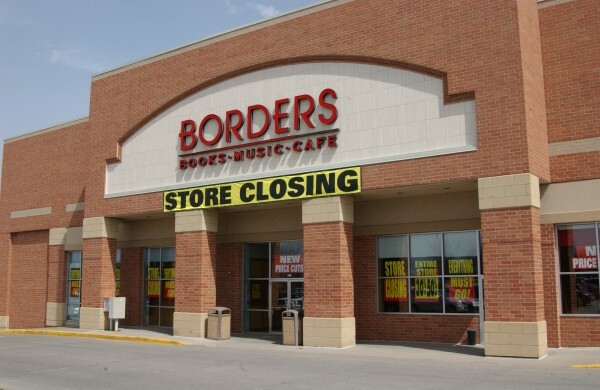 I am sorry to see Borders close and I feel partially responsible because my patronage has waned over the past four or five years. But besides the fact that I have to find a new place to pick up a copy of the Columbia Journalism Review, maybe there is a bigger concern. Beyond shifting consumer habits and the financial pain of print publishers and distributors in a digital age, how are new technologies and emerging media shaping our culture and influencing social norms? More importantly, what are the pros and cons of this megashift? P.S. Half Price Books has a sweet new shop and one of the most diverse retail film collections I’ve seen. Friends and organizers of the soup house will partner this spring with Lutheran Services in Iowa to cultivate relationships among community volunteers and refugees from Burma, Burundi, and Bhutan. Jane Scanlon, an LSI volunteer who made an appearance at soup night on Wednesday, said the nonprofit organization’s community garden program is intended to help families that were torn from their homelands return to their agrarian roots. Hundreds of refugees have resettled within miles of Drake University, Jane said, noting that LSI wants to help them make connections in Central Des Moines as they learn to farm on American soil. 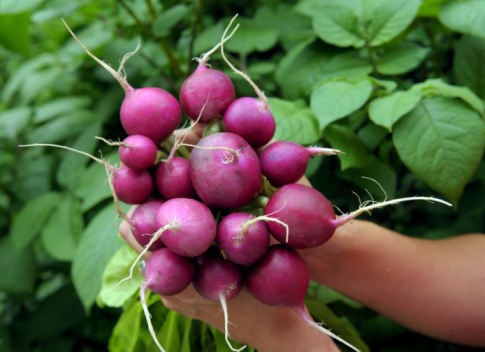 On April 16, up to 11 families and nearly a dozen volunteers are expected to attend an informational and planning meeting at Lone Tree Garden, 1160 Martin Luther King Jr. Parkway, where six plots have been reserved for spring planting. With a focus on sustainability and community, volunteers will act as liaisons between refugees and LSI, as they encounter new people, encourage new friends and harvest new relationships. “For me, working with refugees has been like traveling around the world without leaving Des Moines,” Jane said.